Hair is something that I am completely obsessing over and I am trying to incorporate a bunch of new products as well as adding some new styling tools into my hair care routine. Quite recently I have reviewed a few heat styling tools as I am trying to be a little more adventurous with my hair, I think I am over the mum bun. The beachy waves look is universally adored by celebrities and everyday beauty lovers alike. There's nothing quite like giving your hair an effortlessly polished vibe quite like undone waves. Getting those perfectly loose curls can be a little daunting, however I have come across a little tool that will make it oh so simple to create beautiful beachy waves. 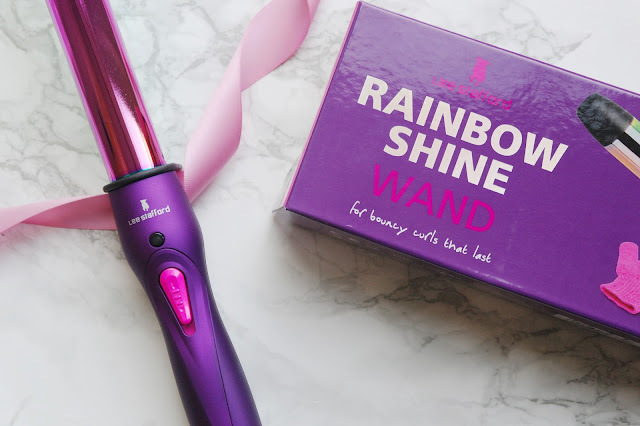 Over the last few weeks I have using this Lee Stafford Rainbow Shine Wand* which is from the new range of Rainbow Shine hair tools. 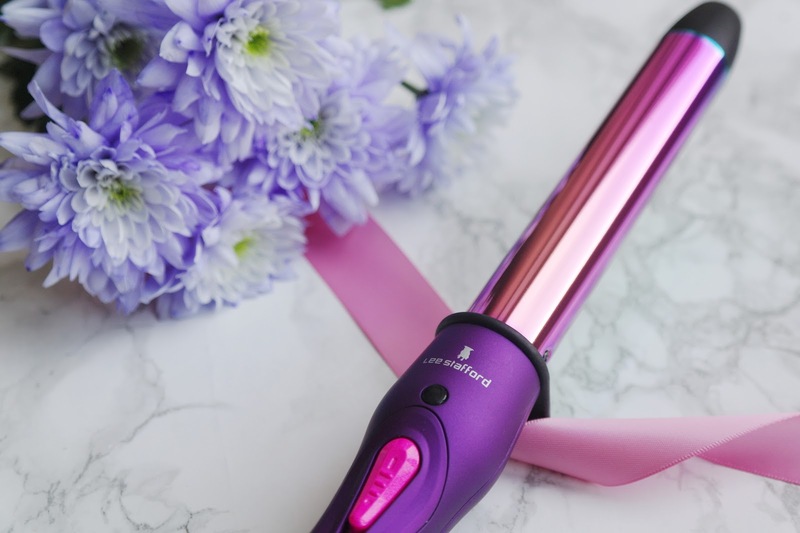 The range includes the Curling Wand, Hair Dryer, Waver Wand and Straighteners. All of them sporting the gorgeous, colourful rainbow shine which I am literally obsessed with. Who doesn't love rainbows? 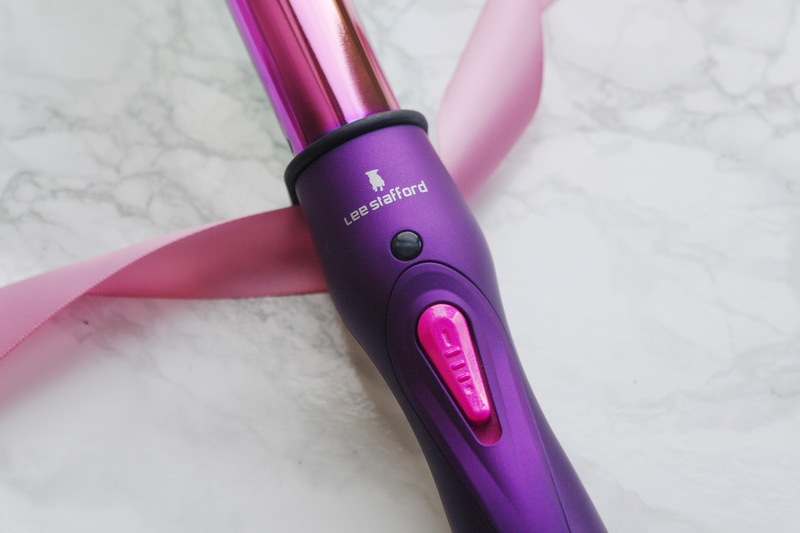 The Lee Stafford Rainbow Shine Wand has a special electroplated finish that makes the wand unique. 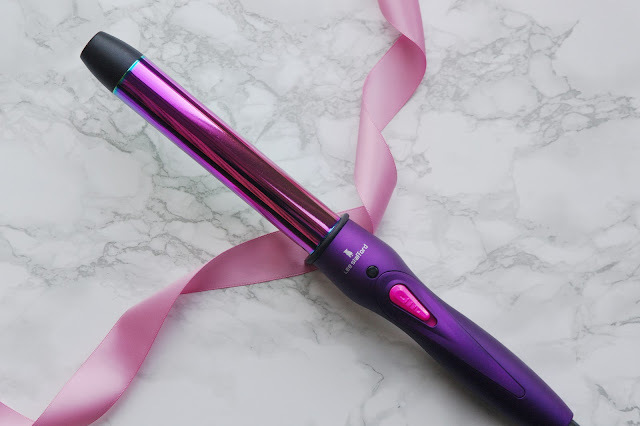 It features a clipless barrel which is perfect for those glamourous, bouncy curls that so many of us desire. You simply wrap tight and release for an effortless look that stands the test of time. So let's see how we got on achieving those beautiful waves. My hair is naturally wavy and thick, so I kind of had a head start with the waves but it did take me a little longer to achieve the bouncy beachy waves with the thickness of my hair. I would always curl my hair but the products and the curler that I used wouldn't leave me with my curls for long, which became the bain of my life. 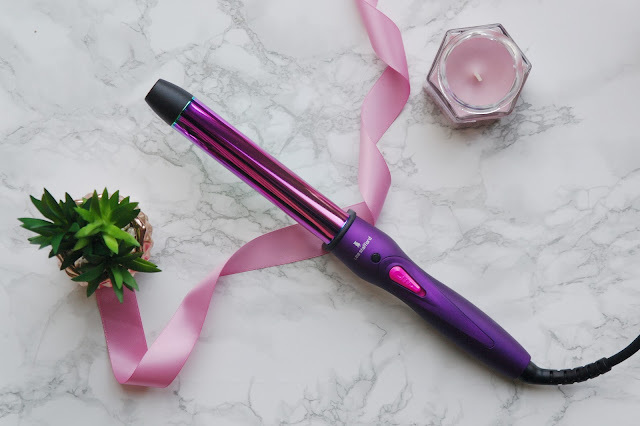 I think this may be my new favourite curling wand just because it's so pretty to look at, it almost it makes curling my hair less of a chore taking no time at all to have a head of full curls. Up to 220°c high heat that get hit, super hot! Heat protection glove to help protect your fingers. And watch your forehead too. 3 metre cord for ease of use. The heat is impressive. 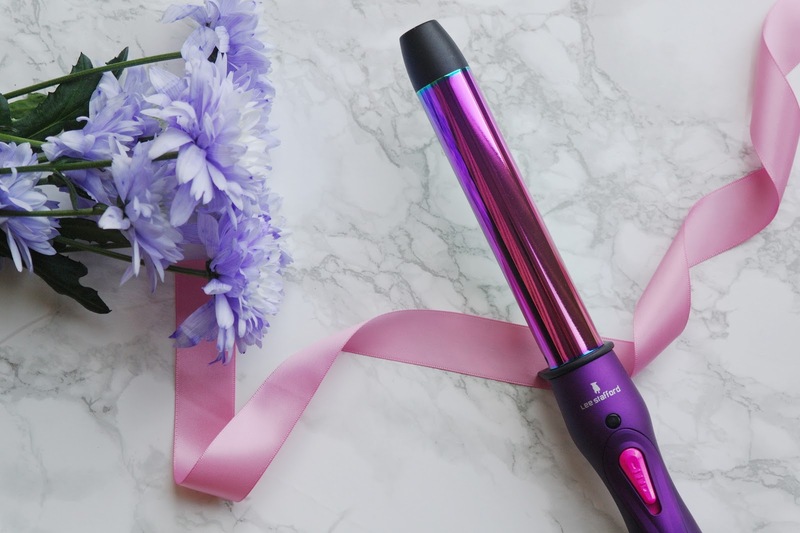 This curler can heat up in under 60 seconds. However, seeing as I have never used a clipless barrel before I stupidly leaned it again my heat for a little too long, and I was left with a huge blister. It took about two weeks to recover, so that's is something that I don't intend on doing again that's for sure. I do wish that the curling wand had a temperature setting, but seeing as it doesn't take too long to get lovely bouncy curls it wouldn't be too damaging to my hair. But I always use Tresemme Keratin Smooth Heat Protection Shine Spray for extra protection because my hair is finally starting to look and feel a bit less damaged. When it comes to styling my hair, I like to keep it simple with the products with Number 4 Sugar Spray on the clean and dried hair. Formulated with sugar cane and flexible styling aids, ensuring that my hair is left super soft and super shiny. If I am looking for a quick fix to get those desired beachy waves I will lightly spray onto damp or dry hair the either leave to dry naturally or blow dry with a diffuser before using the wand. In a nutshell, the Lee Stafford Rainbow Shine Curler is pretty impressive. You will be able to create some of the most beautiful curls and because of the size of the wand you'll be able to get lots of different curl styles. The wand itself is really lightweight with a soft touch feel it won't slip out of your hand easily. I also love the fact that it is colourful and all round pretty curler. Personally, I think that it would make the perfect gift for anyone who wants to get those beautiful beachy waves and great value at £34.99 considering it comes with a 3-year guarantee too. 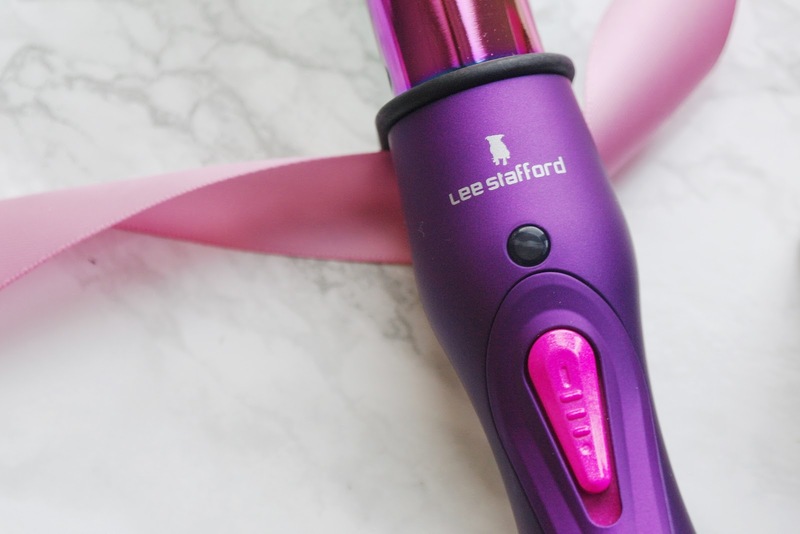 Would you try this Lee Stafford Rainbow Shine Curler? 12 comments on "Beach Waves with Lee Stafford Rainbow Shine Curler"
I have this and it is amaaaazing! Super easy to use. I love beachy waves, I need to embrace them a little more cos my hair goes frizzy and I sometimes feel like it looks messy or not done! OUCH the blister sounds painful! I love curling or waving my hair I just never find the time for it anymore! I’m deffo going to look into this wand though! Omg this looks and sounds amazing! I love the rainbows! I need a new curling wand actually because I managed to misplace mine in a house move, this I might have to get this because nothing can beat rainbows! It's just so...pretty! I'm a long-time hair straightener (since I was 10!) but I'm looking to broaden my horizons. Maybe it's time to go in the opposite direction with a curler. Never say never, right? I love beach waves but I never seem to be able to get it right!